The SETsquared Partnership is a collaboration between the universities of Bath, Bristol, Exeter, Southampton and Surrey. They offer support to high-tech start-ups to help accelerate growth, making sure each business becomes both viable and profitable. In 2010, XCD HR founder and CEO, Chris Mitford-Slade joined forces with SETsquared, Bristol to help progress his now thriving HR software company. For the last five years, XCD HR and the SETsquared team have worked closely, forming a true partnership. During this time, XCD HR has received invaluable and dedicated support to help drive the business forward. Mitford-Slade had contact with the team at SETsquared in a previous role, so knew exactly who to contact when he made the leap to start his own business venture in 2010. He teamed with entrepreneur Amjad Khan and together they shared an office space at the SETsquared premises in Bristol, where they received exceptional guidance and support. “When setting up a new venture you need a team around you that are going to provide you with focussed advice to help contribute to the success of the business. Where start-ups are concerned everyone is keen to take a stake in your business. However, SETsquared have been a breath of fresh air and have provided us with support and direction whenever required, without any strings attached.” said Mitford-Slade. The SETsquared offering includes providing a mentor, usually someone who has already been through the process of starting their own company from scratch and they act as “guide” as opposed to “decision—maker”. SETsquared also holds business review panels, inviting knowledgeable individuals to challenge, probe and test each business and to provide them with strategic guidance. The first of these was held in June 2011. Here, Mitford-Slade and Khan were introduced to Robert Suttie, another entrepreneur and consultant with specific knowledge and experience in their field. From here, Mitford-Slade, Khan and Suttie formed a partnership and now make-up the executive board for XCD HR. Three Business review panels were held at least once a year to get independent feedback and advice and as a SETsquared Alumni member, XCD HR have access to further panels as required. SETsquared holds a variety of events including networking, corporate partnerships and showcasing events at which XCD HR has participated since its start in 2010. XCD HR have now left the SETsquared premises in support of their expansion needs but continue as alumni members, joining the “Alumni CEO Forum” events. Over the last five years XCD HR has gone from strength-to-strength and now employs 30 individuals in offices in Cheltenham, Bristol and India. This is an exciting time for XCD HR as they have recently been accepted onto the G-Cloud, an initiative targeted at easing procurement by public sector bodies. Furthermore, they are recruiting and have expansion plans over the coming year and beyond. 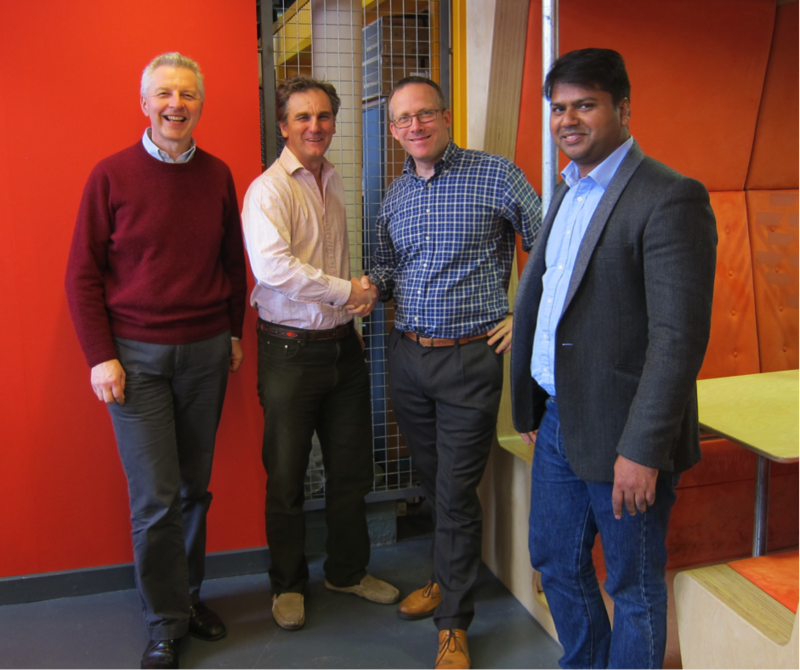 Nick Sturge, Director of the Bristol SETsquared Centre, commented “It has been a privilege working with Chris and the team from their early beginnings. XCD HR join our exclusive alumni ‘club’ of thriving entrepreneurial businesses that we continue to support as they surpass even greater hurdles. Getting onto G-Cloud is a great achievement and will accelerate growth significantly, in line with the Government’s commitment to source at least 25% of products and services from SMEs.